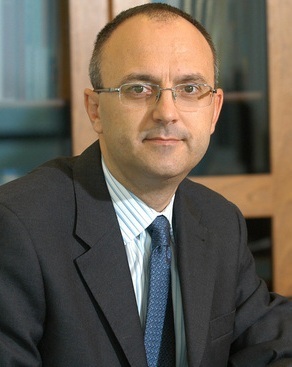 He was born on 12 February 1966 and he graduated from the Polytechnic University of Bucharest, the Economic Studies Academy Bucharest, the Romanian – American University Bucharest, the Economic International Relations Faculty and from special MBA programs at Conservatoire National des Arts et Metiers – Paris, Bucharest and Advanced Management Program at Harvard Business School. His banking experience started in 1991 in Banca Comerciala Romana (Romanian Commercial Bank) taking on various responsibilities, and continued in 2000 as a Vice-President of Casa de Economii si Consemnatiuni (Romanian Savings Bank). In 2001 he became the Retail VicePresident of Raiffeisen Bank. He took over the Chief Executive Officer position in UniCredit Romania in 2005, and he has been the Chief Executive Officer of UniCredit Bank since 2007.